Only 10 to 20 years ago, commercial solar electricity systems were part of a new, immature industry. To have confidence the solar systems they bought would work smoothly for many years, business owners had to seek out specialized solar companies to design, procure reliably, and install the systems. 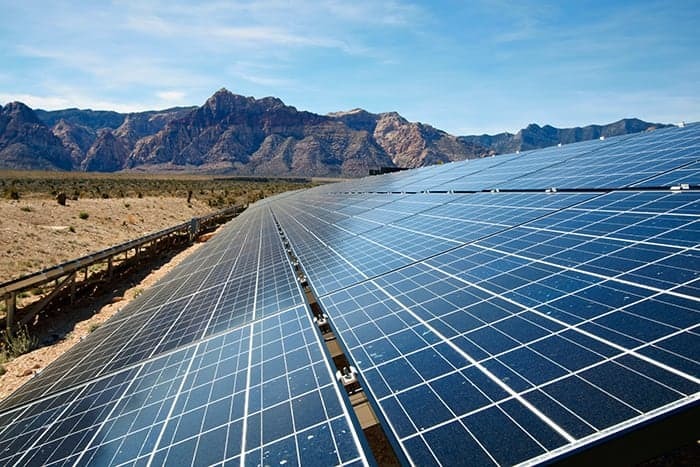 A solar company’s depth of experience was critical to selling and enabled those few companies to command a premium price for the solar components and systems. But the world is completely different now. The commercial solar industry is now mature. Solar system components, design standards, and financing are now essentially commodities. There are dozens of solar companies in any region of the country available for a commercial organization that wants to install solar, as well as dozens of high-quality suppliers of the solar panels and other key components of a solar electricity system. Commercial solar now enjoys a sophisticated, robust, competitive market, much to the advantage of businesses, non-profits and public agencies who want to make the switch to solar. With concerns about component and installation quality behind us, what’s more important for commercial organizations now is to ensure the solar system purchased is the one in the market that lowers the utility bill the most. That means the system has to be optimally designed and costed to the exact specifications of your particular building and electricity profile, to the preferences of your organization, and to give you the best financial return available in the market. The OnSwitch online market platform for new solar solutions does just that: OnSwitch is rigorously focused on designing and financing solar solutions that give customers the highest financial return available in the market. Importantly too, OnSwitch dramatically simplifies their customer’s buying process for rooftop solar by giving prospective buyers instant access to their own customized, accurate solar solution web quote in just in just minutes. OnSwitch is perfectly structured for the new commercial solar energy paradigm of convenience and best price. For the highest-savings solar energy solutions for businesses, public agencies, and multi-family communities, go to OnSwitch today at www.onswitchenergy.com to receive a free quote customized to your building.